Roman Newsome (11) of Legacy Christian launches a 3-pointer during the second half of Tuesday’s Jan. 22 boys high school basketball game against Yellow Springs. LCA connected on 14 3-pointers in the 91-49 win. Erik Uszynski goes up for a layup as Yellow Springs’ Trey Anderson attempts to block the shot, Jan. 22, at Legacy Christian Academy in Xenia. Legacy Christian’s Keano Hammerstrom scores in the first half of Tuesday’s Metro Buckeye Conference boys high school basketball game against visiting Yellow Springs. Erik Uszynski (32), Mike Sharavjamts (25) and Josh Frueh (13) triple team Yellow Springs’ leading scorer Andrew Clark, Jan. 22 in Xenia. Clark led the Bulldogs with 20 points scored in the loss to LCA. 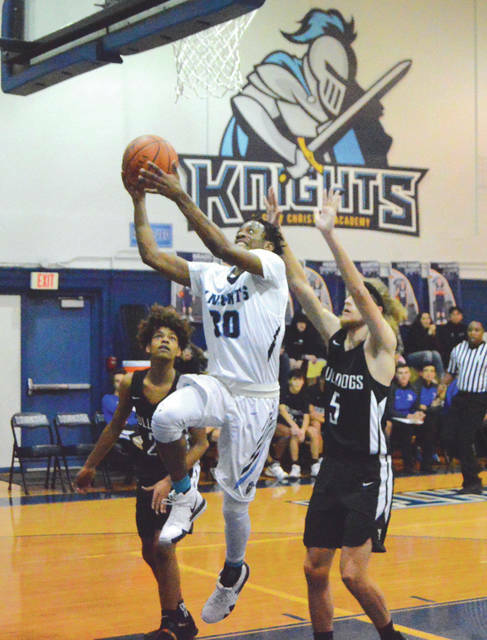 Newsome could joke around after Tuesday night’s home contest with Yellow Springs, because his Knights came out on top by a convincing 91-49 score. “Overall, I would say I was happy with how we played. We like to rebound the ball well, we like to play solid defense, and we like to get the ball from one side of the court to the other. I felt like we were able to do that,” Newsome said. The Knights bombed the Bulldogs with 14 3-pointers — seven in each half. 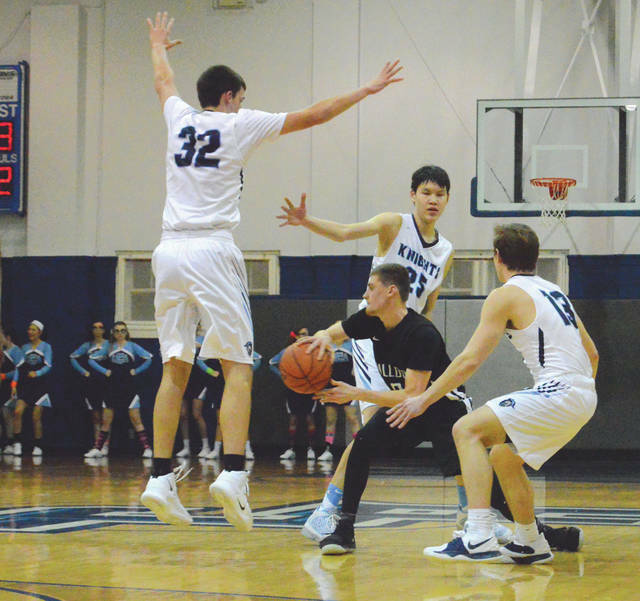 Ryan Newsome scored 18 of his game-high 23 points in the second half, Erik Uszynski scored 20 points, Keano Hammerstrom added 17 points and Jon Riddle finished with 10 as Legacy Christian upped its record to 13-2 overall, and 9-0 in the Metro Buckeye Conference. Defensively, the Knights never let Yellow Springs get into any sort of a fast-paced offensive attack. “Our guys that score and rebound usually get a lot of attention, but our role players stepped up tonight. The Will Hesses and Brandon Martins and Josh Fruehs … I don’t wanna say they get overlooked, but they don’t get the same recognition. I thought they did a good job tonight, defensively, and I really appreciate their effort,” Newsome said. LCA had a 10-point lead after one quarter, led 36-23 at the break, then began the second half with a 13-0 scoring binge to all but seal the deal. Since beginning the season with two straight losses, Legacy Christian has now won 13 in a row. 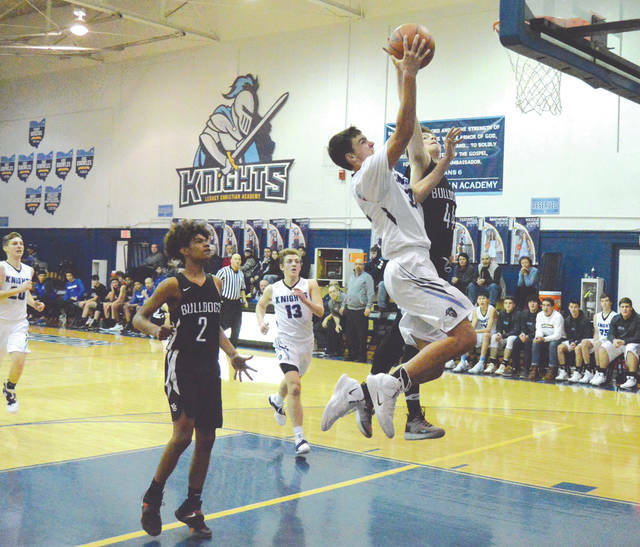 The Knights host Jefferson Township for a 7:30 p.m. contest next, on Friday Jan. 25 in the LCA gym. Yellow Springs coach Bobby Crawford wasn’t happy after Tuesday night’s road loss. 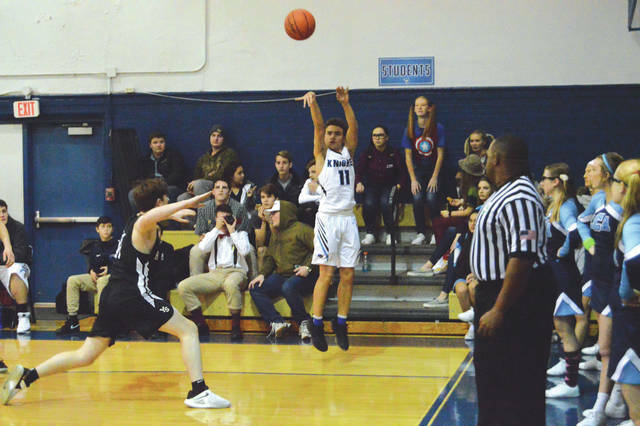 The game featured the two current top scorers in the MBC: Yellow Springs’ Andrew Clark entered the contest averaging 18.6 points per contest, while LCA’s Uszynski was second with a 15 points-per-game average. Despite sometimes being triple teamed, Clark still managed to end the night with 20 points scored. Teammate Trey Anderson also finished in double figures with 15 points, while the rest of the team combined for the other 14. Yellow Springs is now 2-11 overall, 2-7 in the conference, and has lost its last three games. The Bulldogs next host Miami Valley in another MBC matchup. The game is set for 6 p.m., Saturday Jan. 26 at Yellow Springs High.